Crushed rock or rounded stones are a great option for driveway fill. They’re affordable, easy to maintain, provide great drainage, and you can create unique colors and designs with different types of rock. A culvert is a transverse and fully enclosed drainage structure that runs under a road or portion of land. The type of washed rock that is used in their construction generally vary in size from 2-6 inches or 4-8 inches. 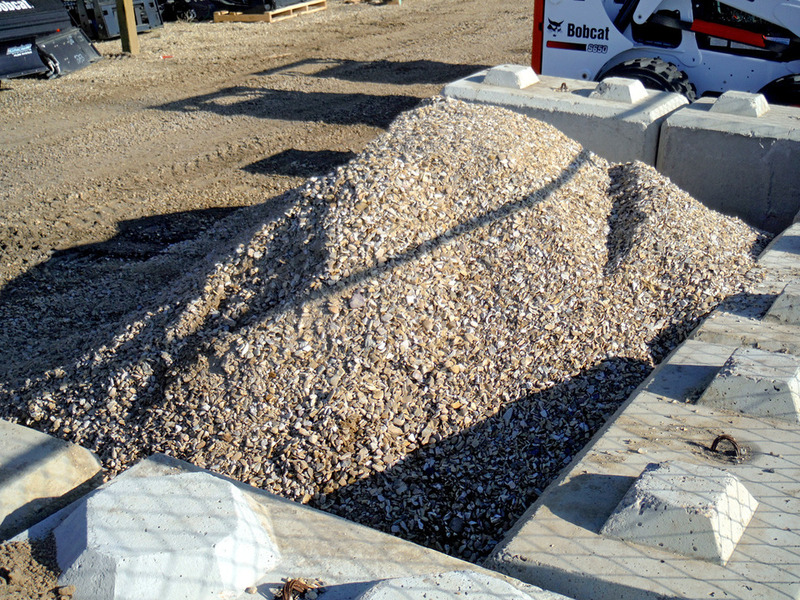 Other drainage projects may require smaller stones, or sand-stone mixtures. Contact us for more information, or to get a free estimate for your drainage project. Washed rock is an excellent decorative rock and a great choice for the low key gardener. It will smother many weeds without depriving your plants of water, and looks great all year round. Used in flower beds, window wells, retaining walls, and more. We have a large selection of sizes, shapes, and colours to suit your gardening or landscaping project. Be as creative and unique as you want! Radon is a naturally occurring gas that is generated in the ground as a result of the decay of uranium. Buildings are generally lower pressure than the outdoors, so radon from the ground can be drawn into them through any opening in the foundation. When constructing a new home, many builders choose to install a layer of rock below the foundation. This layer of loose rock allows the radon to move freely underneath the house, which builders sometimes call the “air flow layer” or “gas permeable layer”. Questions? Give us a call! We are Camrose & Area’s first choice for rock & gravel products. We can answer your questions and help you determine how to best meet your project needs.